Genderqueer Australia (GQA) will be taking a break from January – March 2018. We’ve been going strong for the past seven years running our monthly catch-up on the first Saturday of each month. 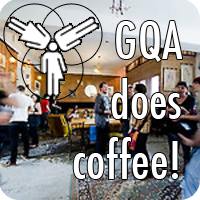 After our last catch-up for the year, on Saturday 2nd December 2017, GQA will be taking a break from social gatherings for a few months. Check this space for updates on our return! In the meantime we’ll continue our awesome work on our website and emails.